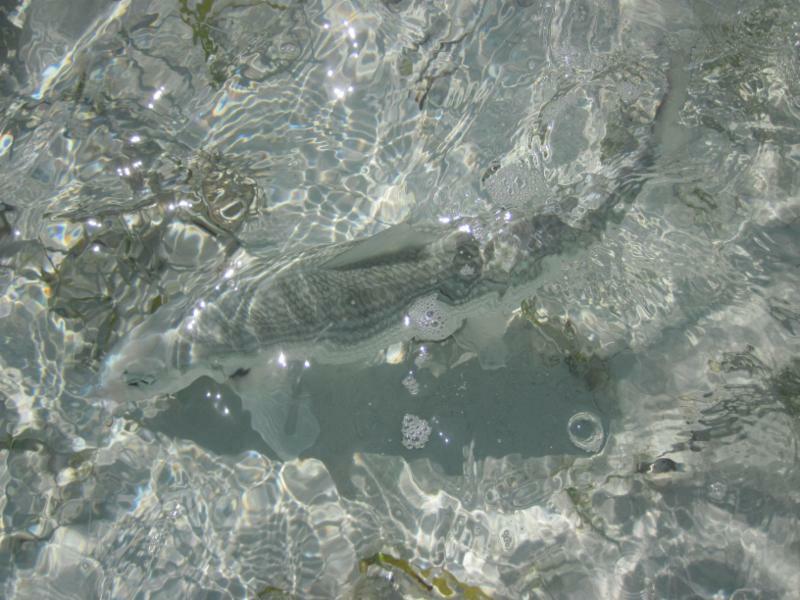 Bonefish: there’s no denying this powerful fish is what draws most anglers to the Bahamas. They seem tailor-made for fly fishing and light tackle; they love shallow, clear water in warm environment, are spooky but not too hard to catch, and love small flies. 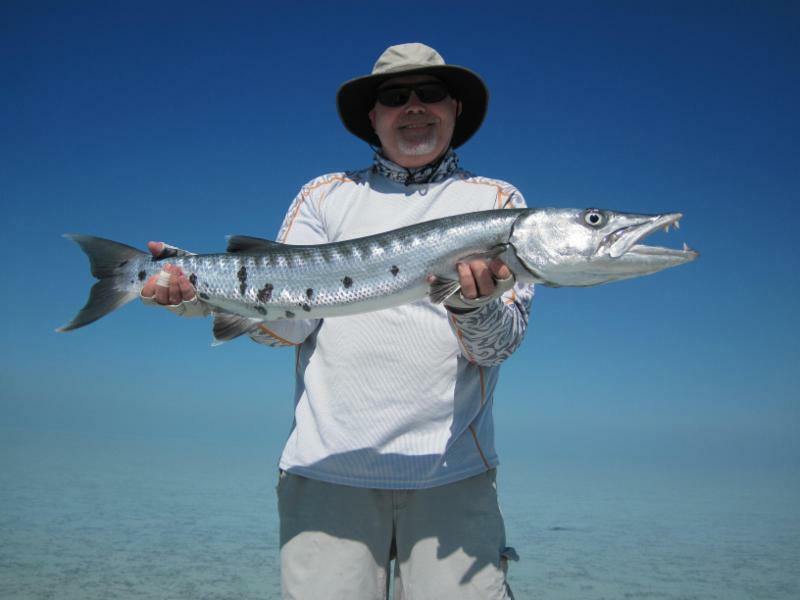 And, while we love our bonefish, Andros also has even more to offer. In season you’ll find Tarpon, Permit, Mutton Snapper, Barracuda, Jack Crevalle and a variety of other species, all great fun on light tackle. In calm weather a short run off-shore will yield shots at bluewater species like Tuna, Mahi-Mahi, and Wahoo. Andros also boasts one of the largest barrier reefs in the world and it abounds with Grouper, Snapper, and large Jacks, just to name a few species. 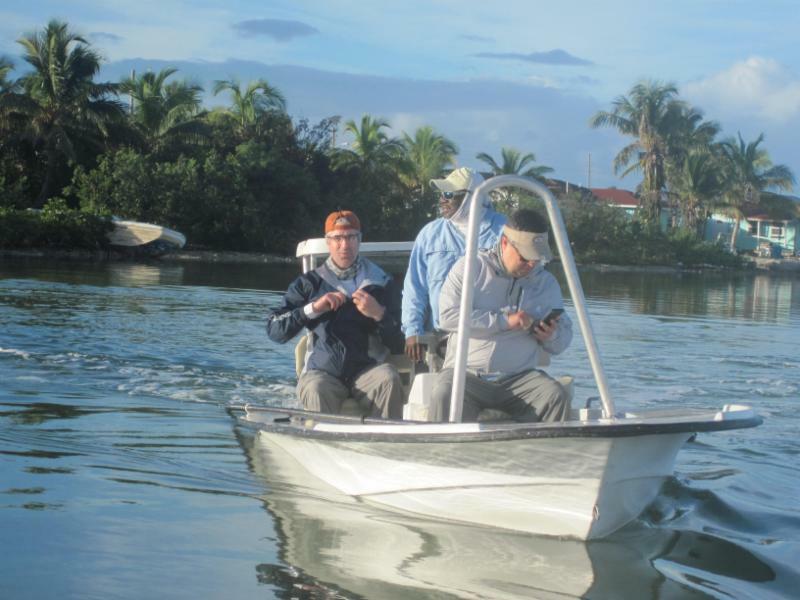 Andros is deeply connected to the sport of bonefishing. Bonefishing began on Andros 1948 when a young man named Cornel Torn opened the Bang Bang club. At that time guides were using spin rods. 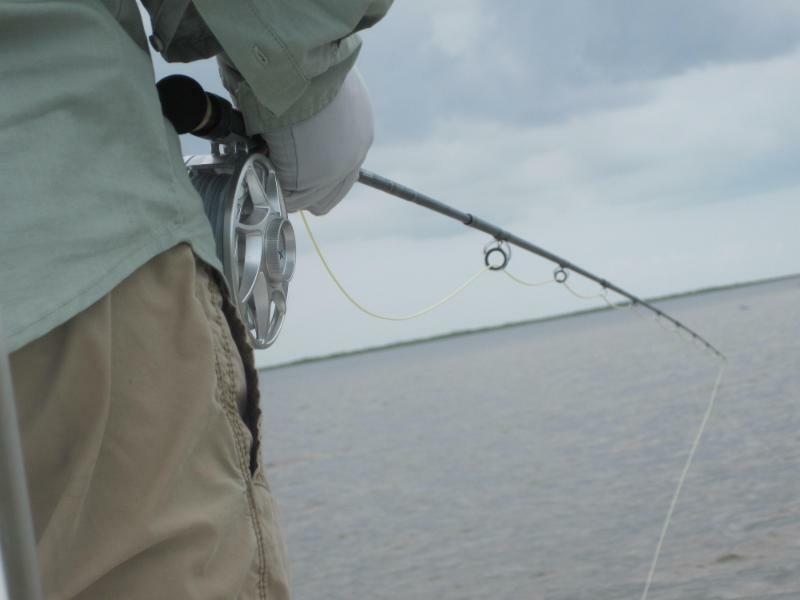 Then, somewhere in the 1960s a small group of anglers began using fly rods on the flats of the Florida Keys. From there it was a small hop across the Gulf Stream to the Bahamas, where they soon realized that the shear square mileage of bonefish flats was beyond imagination. According to legend, two guides introduced fly-fishing to Andros, out performing any other technique. Bahamas’ guides quickly adopted it, and began using Flugger reels, Fenwick fiberglass and bamboo rods. Seeing the fight these fish give today on modern fly-tackle, its a wonder they ever landed any… but land them they did. In the decades that followed guides like Big Charlie Neymour have taken bonefishing on fly to the next level, learning how to fool double-digit bones with astonishing regularity. The culmination of generations of guiding wisdom and culture, Charlie is known for his professionalism and humor on the water, and his genuine love of fishing. His bonefishing career started at the age of 13 when he caught blue crabs as bait for older guides (all legends of the sport) like Ruddy, Ivon, Erold, William, Carl Cockley, to name a few. 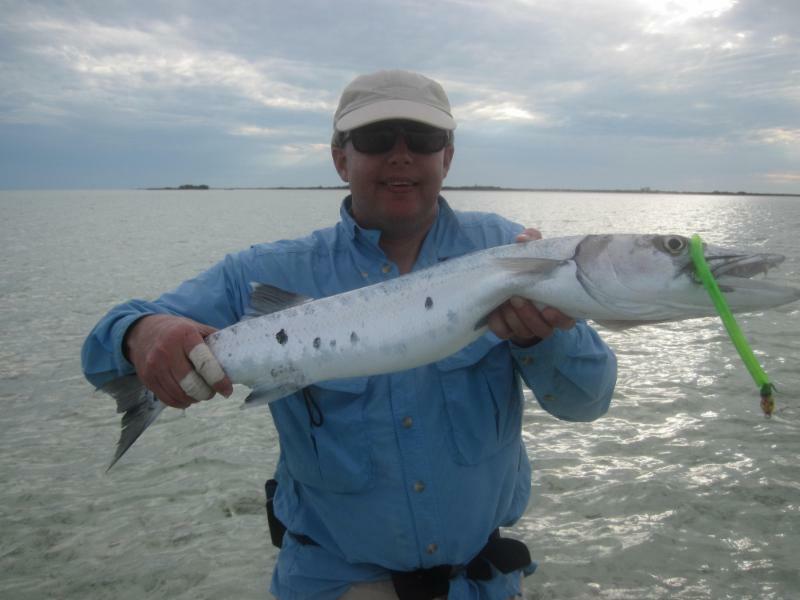 After years exploring the flats on his own, Charlie moved to Florida to study the art of fly fishing and professional guiding in the Florida Keys. When he’s not personally available he hand picks the best Andros guides for his guests. Under his experienced eye the lodge’s guiding and fishing operations run as smooth as the drag on a quality reel. In the words of Stephen Vletas (author of The Bahamas Fly-Fishing Guide), “Charlie is my personal favorite saltwater guide, and if I had one day left to fish it would be with him in Andros.“ Fatiha has a way of bringing a uniquely personal touch to the fishing lodge experience. She is the founder and developer of Big Charlie & Fatiha’s Bonefishing Lodge. Originally from Morocco with a degree in Hotel Hospitality she can converse in 5 languages. There are no “stock” trips here! Every detail is considered. Fatiha acts as liaison for guests regarding transportation to and from the airport and confirmation of local flights. Having an intimate knowledge of Andros culture helps her run a smooth operation from touch-down to take-off for every guest. Fatiha’s knowledge in guest services includes fine foods and wine. She’s in charge of the lodge’s famous cuisine, and under her watchful eye the kitchen staff prepares some of the most delicious meals found at any fishing lodge in the Bahamas. Fatiha also handles any special needs guests might have—food alergies, etc.—and her personal touch makes the lodge feel like home.